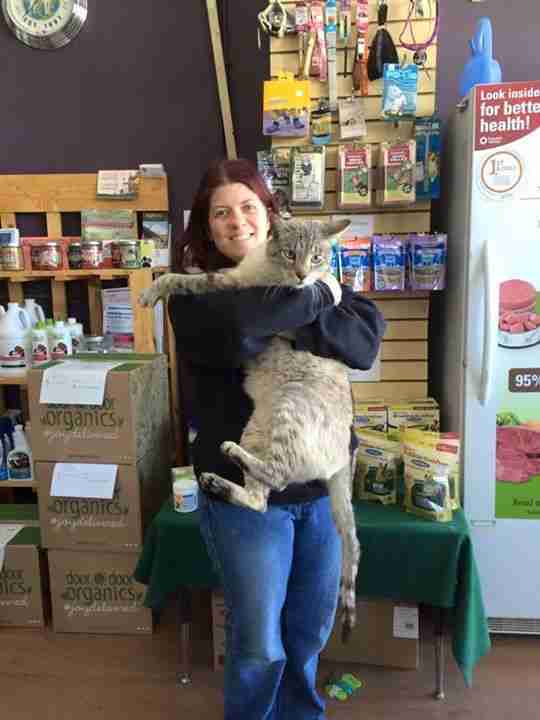 Andre the giant cat was a stray wandering around a town in the Rocky Mountains, but now he's using his unique size in a big way - as a spokesperson (or, spokesfeline) for homeless cats everywhere. 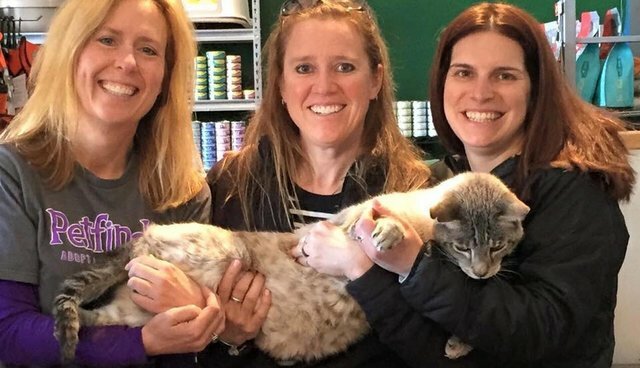 The Cat Casita sanctuary, a branch of Animal Rescue of the Rockies, took Andre in last November and fell in love with the giant cat, who weighs 27 pounds. And it seems the feeling is mutual. When Andre came to the sanctuary, he was sick and malnourished. "We kept him and got him healthy. 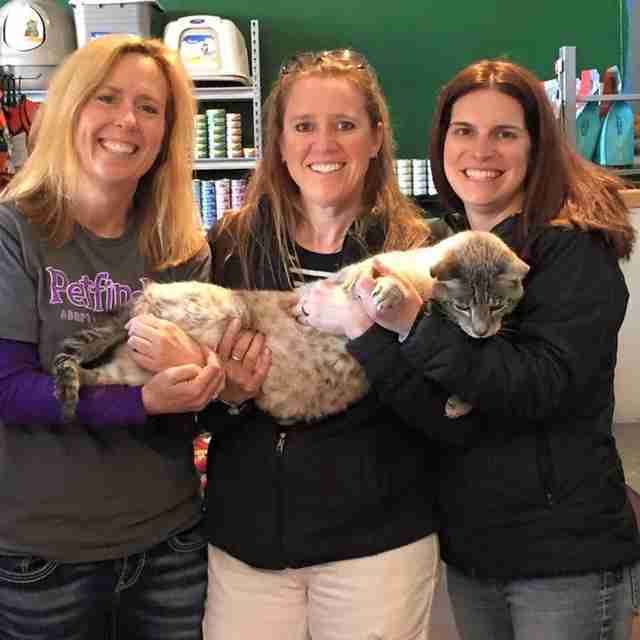 Then we put him up for adoption," Kerrie Lynn, of the store and cat rescue, told The Dodo. "But he loved the store. 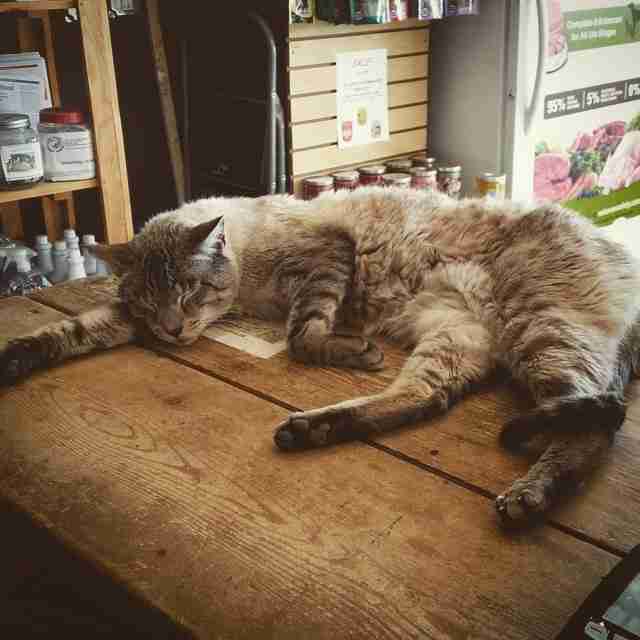 He loves sitting on the counter; he helps us ring up our customers. He's definitely the manager of store." 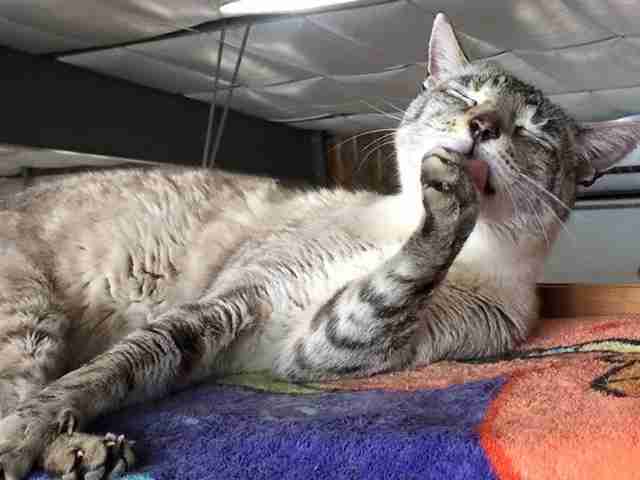 The cat sanctuary is housed in the basement of High Paw Pet Supplies. The owner of the store, Miyuki Takeda, donates space, and volunteers donate time. The sanctuary rescues cats from high-kill shelters so that they have a chance at lives in forever homes where they can get the long-term love they deserve. 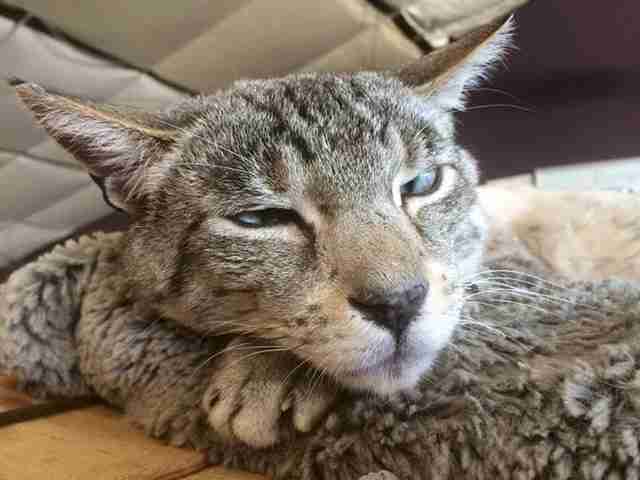 "These cats were really on death row," Lynn said. 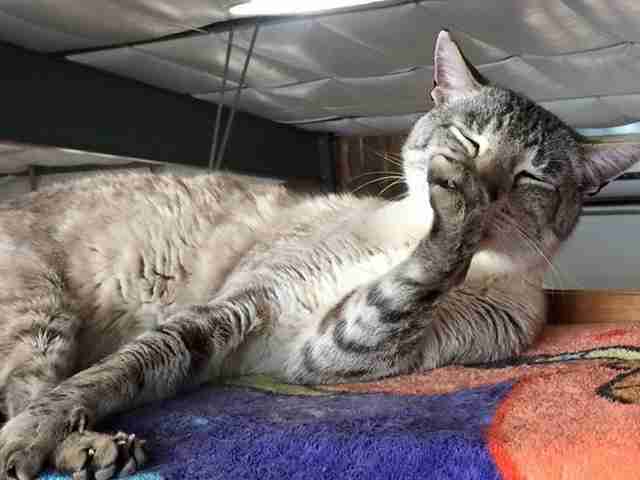 And, according to the Denver Post, the sanctuary has seen a surge of cat adoptions since Andre came on board. Andre spends much of his time relaxing, sleeping and bathing. And he gets along wonderfully with the other cats, especially his best friend Jasper. 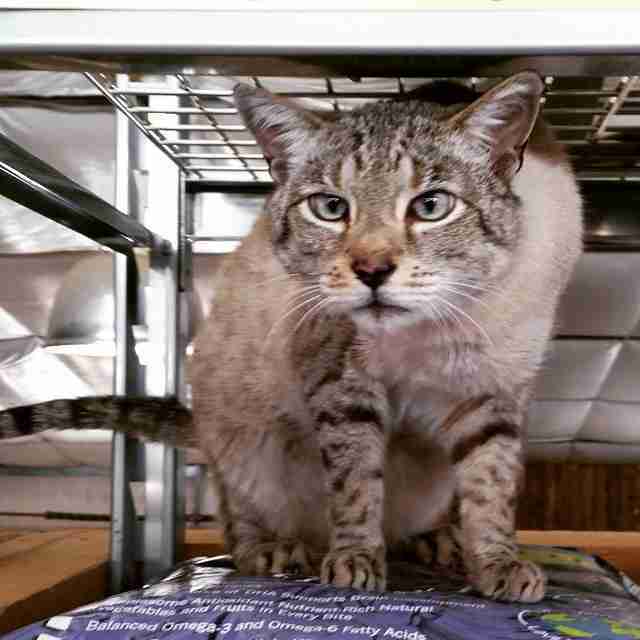 Currently 14 other cats are up for adoption at the sanctuary. "Manager of the store" Andre loves sitting on the counter. Andre's lineage is a mystery. Whatever he is, he's pure sweet. 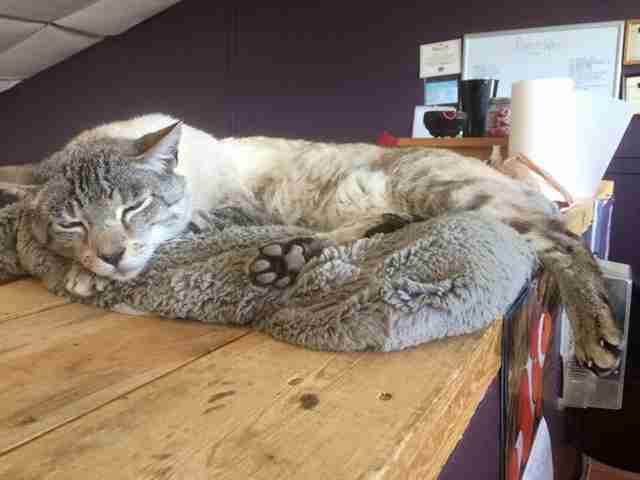 Learn more about the Cat Casita Sanctuary of the Animal Rescue of the Rockies at High Paw Pet Supplies.